Take Advantage of Our Pre-Owned Vehicle Specials in Scottsdale! 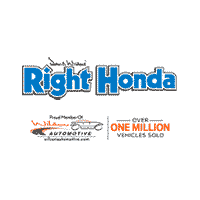 Right Honda is proud to offer used vehicle specials for Phoenix shoppers in search of an affordable pre-owned vehicle. Whether you're shopping for a used Honda or a vehicle from another make, chances are you'll find something to suit your needs in our inventory above. No matter their model year, Honda vehicles have a penchant for reliability, excellent gas mileage, and generous features. If you find a model you like, apply for financing online to get the process started! Why Buy a Used Car from a Dealer vs. a Private Seller? Dealerships make used-car buying easier and more rewarding for Glendale shoppers. You'll find a more extensive selection of used vehicles on a dealer's lot, as well as pre-owned specials. You can even browse an under-$10K inventory for even more affordable options. Additionally, you won't get expert service from a private seller. Our service center is familiar with vehicles from a variety of makes — not just Honda — and offers an ever-changing array of service specials. Contact us to learn more about our pre-owned vehicles specials available near Mesa!